We have covered many times how Cadillac was once the so-called “standard of the world,” but has struggled in recent decades to regain some market share from the German luxury car brands. But now, Cadillac finally has a tool to score customers and it’s not a product or some fancy technology—it’s decent lease deals on par with BMW, Audi and Mercedes. For many people, the idea of leasing a car is financially irresponsible, but if you are a luxury automaker your sales figures can live or die by leases. The general rule of thumb when it comes to driving a luxury car is you lease them new and buy them used. While some cars are purchased outright or financed, the vast majority of the new luxury vehicles on the road are leased. There’s a lot of reasons for this, including that fact that leases generally allow qualified buyers to afford “more car” than with traditional financing, even if they do not have an owned asset at the end of the term. Cadillac has ushered in a serious product offensive with cars like the CT6 and the XT5 crossover. From a product perspective, the GM luxury brand can easily go toe-to-toe with most anything that comes over from Europe. The problem is that product is not enough. Even if Cadillac does manage to get new customers into the showroom if the lease math doesn’t work out and that buyer can get a similar car from the Germans for less that is usually a lost sale. Mercedes, BMW, and Audi have mastered the ability to create incentivized lease programs in order to make the payments on their cars a bit more “reasonable” to keep customers in the fold. When it comes to leasing a Cadillac sedan, the lower resale value of those cars have put the brand at a disadvantage, but that is about to change. According to a dealer contact at a large Cadillac store, the automaker just recently launched some incredibly aggressive lease programs starting in January and continuing through March. Here is how Cadillac stacks up against their competition. The XT5 is an all new crossover aimed squarely at the BMW X3, Mercedes GLC, and Audi Q5. Currently, Audi is offering a 10,000 mile, 36-month lease on a 2018 Q5 Premium with an MSRP of $42,975 for about $580 a month. While the Cadillac offer on a 10,000 mile, 36 month lease on a slightly less expensive $40,195 XT5 is only $468 a month. So the crossover market is still close, but it’s the sedans where Cadillac has a big edge on their new lease programs. Speaking of which, BMW’s lease program on the all-new 530i with a four-cylinder motor is $644 a month for a 36-month lease, with 10,000 miles with an MSRP of $53,945. However, you can lease a CTS Luxury trim with a turbo-four and all-wheel drive that has an MSRP of $56,195 for $604 a month for the same term. Which means you get a slightly more expensive car with more features and all-wheel drive for a lower payment than the BMW. 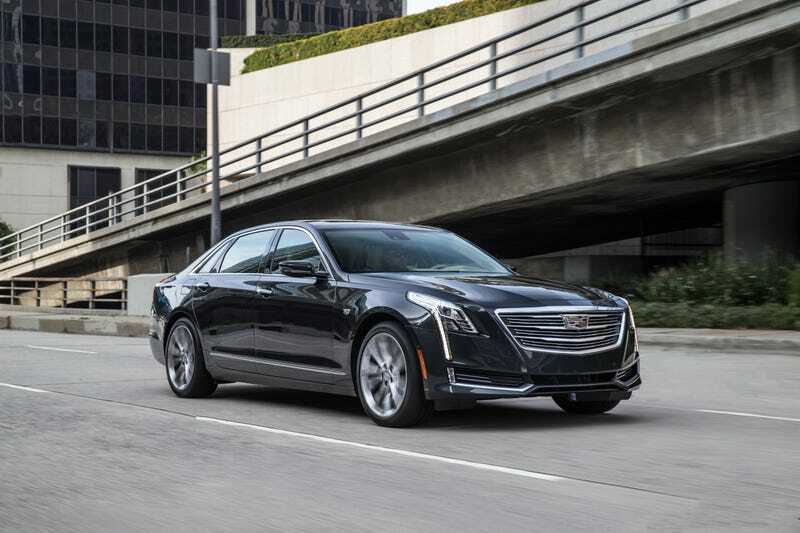 Finally, there is the impressive Cadillac CT6, which occupies a middle ground mid-size sedan between a full-size flagship but doesn’t compete directly with the likes of the Mercedes S-Class. However, when the lease is compared to the smaller E-Class, it is one heck of a value. This month’s program for an E300 4Matic is about $708 a month for a 36-month lease with 10,000 miles on a car that retails for $54,526. Or you can get a Cadillac CT6 AWD Luxury for $681 a month for a 39-month lease with 10,000 miles, and that car has a sticker price of $61,195. Will these new programs steal enough customers from the Germans? That’s tough to say and it’s likely the brand will be an underdog for in the luxury game in the near future, though Cadillac is clearly getting better and better. At least now the automaker’s smart enough to make the behind the scenes lease numbers work for them as well.